I don’t normally do a TBR pile, either I don’t complete what I’ve picked, or I read something else entirely. But I know I will definitely be reading these books this month. Well fingers crossed anyway. I will be nearly done with War of the Roses Trinity, I hope to finish it this weekend before I start IT by Stephen King on Monday. I’ll be buddy reading with my friend Tera. 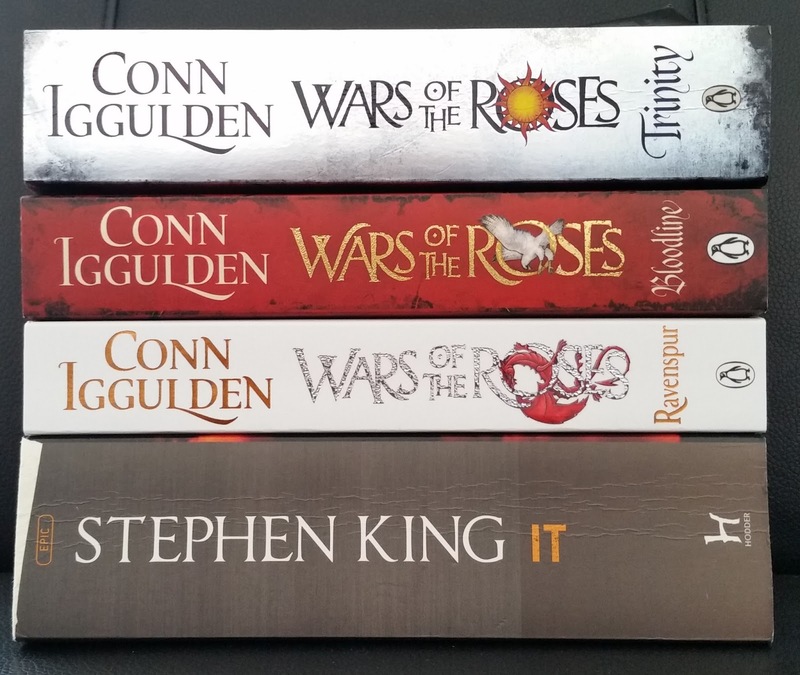 I also cannot wait to finish War of the Roses series, Conn Iggulden is such a brilliant author. Actually, I don’t want this series to ever finish.